The Nunavut Research Institute (NRI) provides accommodation for researchers in Iqaluit, Arviat and Igloolik. 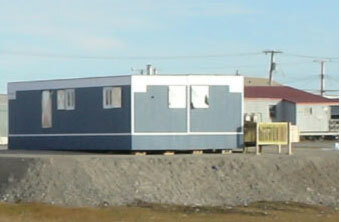 In Iqaluit, researchers stay at the Arctic College Residence where meals are provided, as well as laundry facilities. In July and August, 2 and 3-bedroom housing units with cooking and laundry facilities are available. Student researchers receive reduced rates. Accommodations are available to researchers working in Nunavut with a research permit. See the User Fee Table for costs. In Arviat and Igloolik, a 3-bedroom bunkhouse with cooking and laundry facilities is available to researchers with permits. To book accommodation in Iqaluit, Arviat or Igloolik, contact Rick Armstrong, Manager of Scientific Support Services 867-979-7280 (p) or e-mail rick.armstrong@arcticcollege.ca. Lab space is available in Iqaluit depending on space availability and type of use. To find out more about using lab space in Iqaluit contact Jamal Shirley, Manager of Research Design and Policy Development-867-979-7290 or e-mail jamal.shirley@arcticcollege.ca. Lab space is also available in Rankin Inlet and Cambridge Bay during the summer months. To book space in these facilities contact Fiona Buchan-Corey on Cambridge Bay at 867-983-4107 or e-mail fiona.buchan-corey@gov.nu.ca and Susan Enuaraq in Rankin Inlet at 867-645-4170 or e-mail susan.enuaraq@arcticcollege.ca. Book early! Use of the NRI field research support units is allocated on a first come, first served basis.